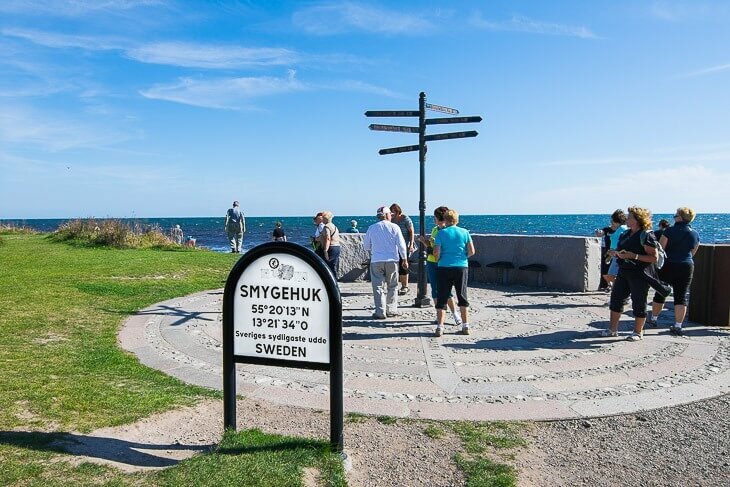 Smygehuk is Sweden’s southernmost point and a popular tourist destination with over 200 000 visitors every summer. 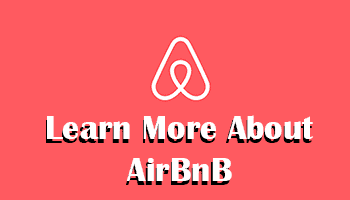 The surrounding area is popular among camping enthusiasts mostly from Nordic countries, but also among Germans and Dutch tourists. Smygehuk is located east of Trelleborg with a distance of approximately 14km. 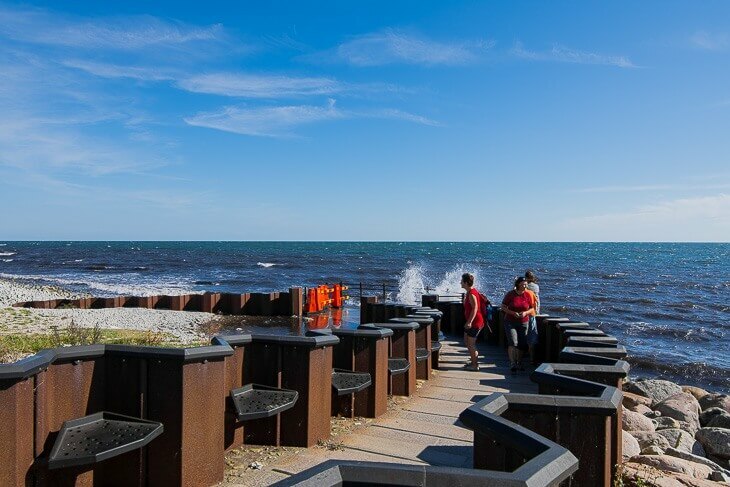 Ystad is about 32km, and you can’t go more south than this in Sweden. Here await a pebble beach, a cafe, fish smokery, crafts shop and a boat-building house and the old lighthouse which was introduced in 1893. The lighthouse is 17 meters high and offers a nice view. It’s open during daytime in the summer. Below you can see the viewpoint of the Cape where the waves are thundering toward the edge. 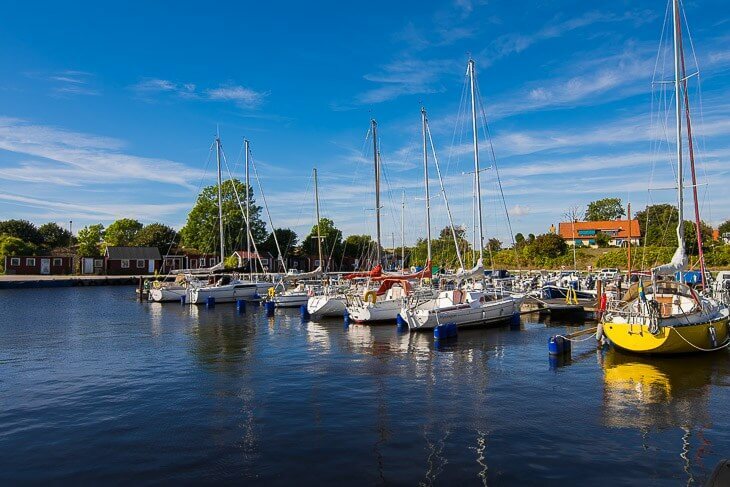 Here is the small marina of Smygehuk. 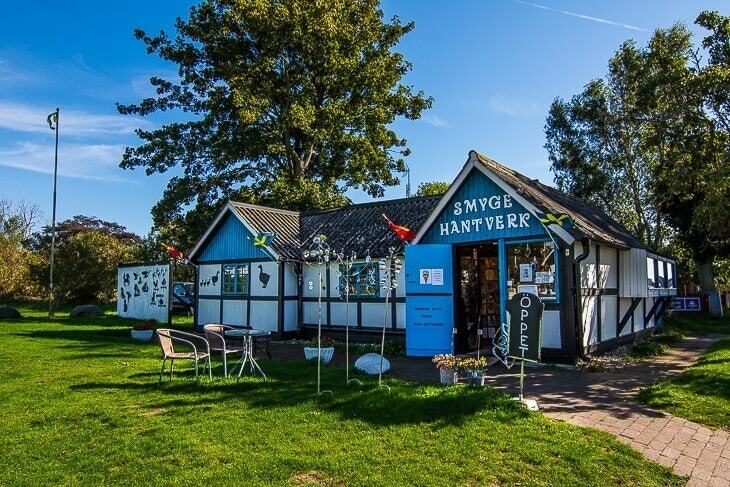 If you like crafts and souvenirs, you should not miss a visit to the craft shop “Smyge Hantverk”. 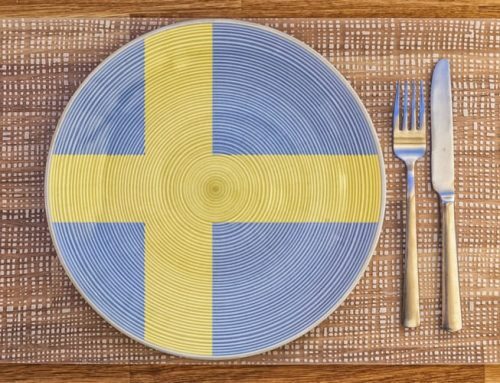 Here you can find many good items with Skåne and Sweden Theme. Prices are reasonable with a good and varied selection. 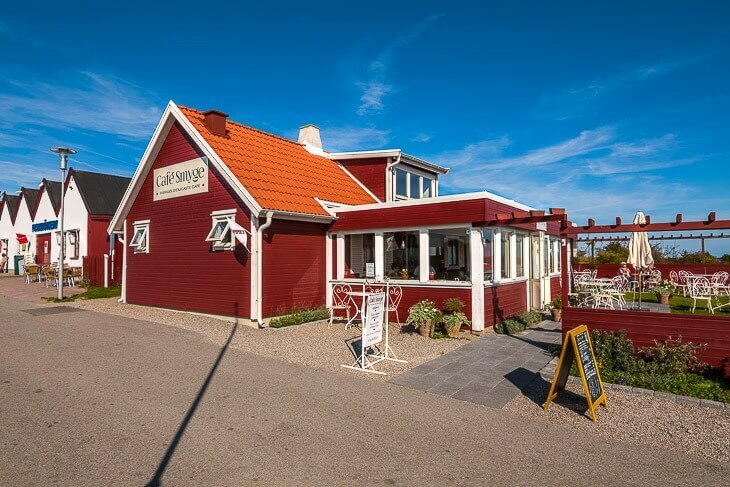 On the southern tip of Sweden, you will also find Sweden’s southernmost cafe – Cafe Smyge. They serve coffee, ice cream and of course good prawn sandwiches that can be enjoyed on the pleasant outdoor terrace. As if this weren’t enough, one could also enjoy freshly smoked fish, either by take away or eating at the small outdoor terrace. Easiest is to get here by car. Trelleborg you drive through Route 9. 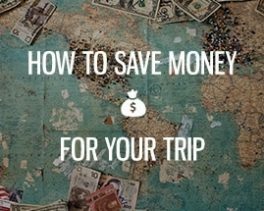 The trip takes about 18 minutes. From Ystad, you will also go by Route 9, but from the opposite direction. The journey from Ystad to Smygehuk takes about 40 minutes. If you don’t have access to a car, it’s also easy to get here by public transport. 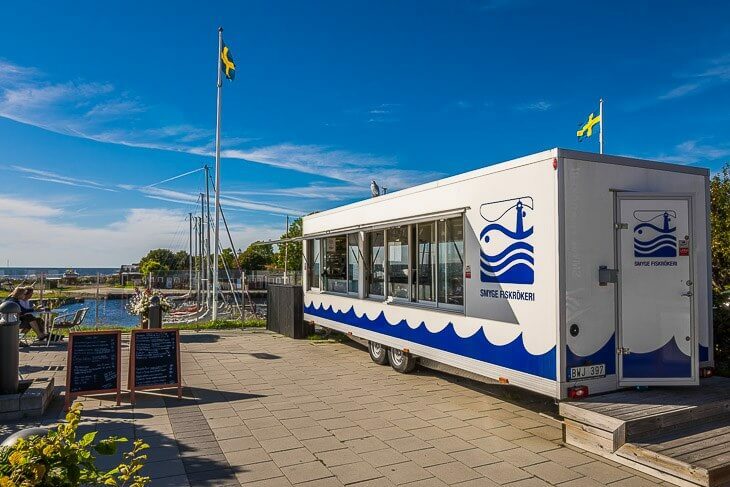 The bus from Ystad departs every two hours, and there is bus 190 towards Trelleborg to take. Trelleborg is the same bus in the opposite direction, then bus 190 with the final destination Ystad. The bus stop where you should jump off is called “Smygehuk hamnen”. The old lighthouse was opened in 1893 after the Maritime Administration decreed that it would give ships a fixed point to navigate. 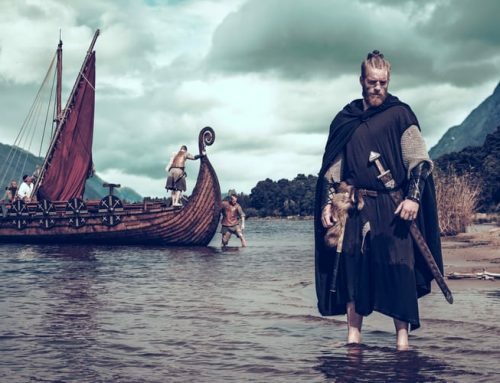 During the 1800’s it was namely the many ships that led shipwrecks along the windy coast between Beddinge and Smygehuk. The old lighthouse keep has now been made into a nice hostel for those who want to stay overnight in Smygehuk. In the old foghorn house nowadays art exhibitions are being held. There is also a Merchant Magazine from the 1800s where they have arts and crafts exhibitions along with music and theater performances. Every summer, one could also enjoy Sweden’s southernmost folk musicians show. Some fun facts about Köpmansmagasinet: During the Napoleonic Wars is said to have been a hub for contraband. Smygehuk The name comes from old Swedish language “Smyge” and “Huk”, which means narrow or slim respective corner or promontory. The resort Smygehamn is originally a small fishing village that has existed since sometime in the 1600s. The port was an important shipping point in the 1800s and was originally an old limestone quarry. Above the harbor, you can take a look at Axel Ebbe statue “famntaget”, which represents Uma Thurman naked grandmother (Birgit Holmquist). One can also take a closer look at the Smyge stone, which was used to execute people in the past. Execution procedure: The Smyge Stone was released on the person who would be executed. The area around is rich in calcium, which is also reflected in Smygehuk’s flora and fauna. Plants like Defender Anis, Greater Knapweed and trifft thrives here. Nearby the port is also a marsh with orchids. The marsh is also home to Frogs, Salamanders, Toads and the beach toad, which is endangered. Between Smyge and Böste one could also encounter Southern Coast of Skåne’s last population of vipers. They are rare, but there is a chance to see one even if you should do so with caution. Vipers are protected by law.